As has already been widely reported around the blogosphere Brindabella Airlines have been placed into receivership with Korda-Mentha being appointed as managers. While Qantas has warned of a severe loss, Air New Zealand are forecasting a full year earnings boost of up to 20%. 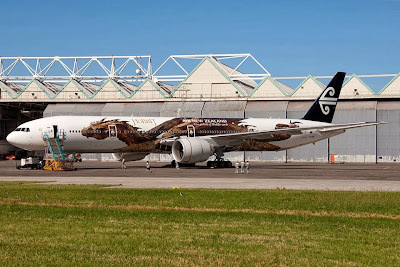 The New Zealand National carrier has notified the New Zealand stock exchange that they look likely to record a profit of over $307M NZD in the 2014 full financial year. (RPKs) increased in the Domestic market by 2.4%, while capacity increased 3.7%. Domestic load factor was down 1.0 percentage point to 80.2%. Tasman/Pacific demand (RPKs) increased 1.2%, with capacity (ASKs) increasing 0.4%. Load factor for Tasman/Pacific was up 0.7 of a percentage point to 85.1%. Qantas group CEO Alan Joyce has announced Qantas is facing a loss of up to $300M AUD in the 6 months from July to December this year. As a result the group will cut at least 1000 positions in the next 12 months while all executives will have their salaries frozen at current levels and will not receive bonuses in this financial year. It has also signaled that it will consider selling parts of its business. It has not named potential units which could be sold but there has been speculation that it could consider a part sale of its frequent flyer business. As expected Mr Joyce has laid blame fairly and squarely on the "unprecedented distortion of the Australian domestic market" ramping up his recent attacks on Virgin Australia being allowed to undertake their equity raising including foreign ownership. However like many others around the internet I believe Qantas are a victim of their own pigheadedness by trying to retain their 65% line in the sand, by increasing their own capacity on routes to maintain their 65% domestic market share. Australian Regional operator Brindabella Airlines has suspended its Sydney-Orange service to restore "schedule integrity". This comes on the back of the recent grounding of the Jetstream 4100 fleet. “Brindabella Airlines has been working hard during the past fortnight to restore integrity to its scheduled regular passenger transport services,” the airline said in a statement on its website on Wednesday. Brindabella will present a revised service schedule to councils today which will bring about immediate schedule integrity. There is plenty of scuttlebutt around the web that Brindabella who merged with Aeropelican earlier this year are struggling, but I for one hope they aren't and wish them well for the future, as it is great to see the Jetstream's still flying the skies, and makes a nice change here in Brisbane from the monotony of the Dash-8 fleets. Tigerair have announced they will open a new base at Brisbane Airport as well as introducing flight from Brisbane to Adelaide, Cairns and Darwin. The new Adelaide service will launch in March while the Cairns and Darwin services are scheduled to commence in April. NEW Wellington to Wanganui service has been added today - New flights start on the 21st January 2014 - Available to book online now - Remember at Sounds Air the price we advertise is the price you pay. No credit card fees, no bag fees, no travel insurance fees, no "I feel I am getting ripped off" fees. What we say is what you pay. Qantas have hit all the 30's with their announcement today of the A330 interior upgrade program to occur in Brisbane in the new $30 million dollar hangar while recruiting 30 new apprentice engineers. With each aircraft expected to be in the hangar for 30 days. Qantas today announced its fleet of 30 Airbus A330 aircraft will have new cabin interiors installed at its Brisbane heavy maintenance and engineering facility.Qantas also announced it is recruiting 30 apprentice engineers, with the majority to be based in Brisbane.Qantas Group Chief Executive Officer Alan Joyce, who was in Brisbane to officially open the $30 million upgrade to the hangar, said today’s announcements further cements Qantas' commitment to engineering and maintenance in Australia. The latest video "Just another day in Middle Earth" is described by Air New Zealand below, and features cameo appearances from ZK-OKP the Hobbit themed Boeing 777-319ER and ZK-OXB the first Airbus A320 in the new livery as well as the stunning scenery of Queenstown airport. Aircraft leasing and maintenance company Airwork has launched an initial public share offer to raise up to $40 million and float on the stock exchange. The Auckland company is offering up to 15.4 million new shares at $2.60 per share and expects to begin trading on the NZX main board by December 19 if the minimum amount of $30m is raised, according to a prospectus issued yesterday. Airwork operates an engineering arm, a helicopter arm as well as a fleet of aircraft (F27, B733F, B734F, SWM) flying on behalf of New Zealand Post in NZ and Toll Priority in Australia. Perth is the winner with Air New Zealand announcing its first route with the Boeing 787-9 will be AKL-PER in October next year. Chief Executive Officer Christopher Luxon made the announcement at the official opening of the airline’s Customer Innovation and Collaboration Centre in Auckland today. A feature of the centre is the only Boeing 787-9 full cabin interior outside the factory in Seattle. The cabin mock-up has outlined how Air New Zealand will outfit its interior with 302 seats in a 3 class layout. 18 lie flat Business Premier seats, 21 Premium Economy seats and 263 economy seats. All seats feature a new entertainment system which is slimmer and has a higher resolution than that on the 773. 'We've taken advantage of new inflight entertainment hardware and that's allowed us to introduce new monitors and also allowed us to slim down the back of the seat considerably from those which have had inflight entertainment. (in the past) That allows much more personal space." 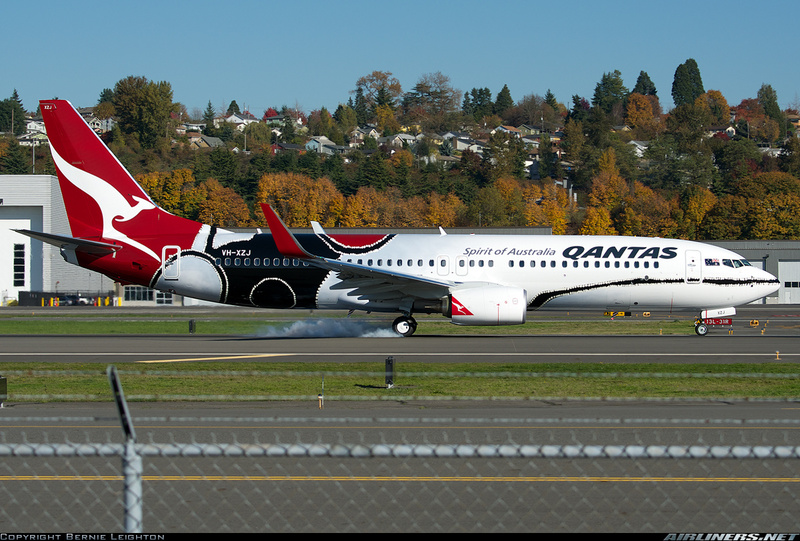 As previously mentioned on this blog, Qantas have re-introduced the Aboriginal art special livery on their soon to be delivered Boeing 737-838 VH-XZJ. Mendoowoorji is based on a painting that "captures the heart of the Kimberly" but there has already been some criticism online of this scheme as it is not "all over" like the previous liveries and does look "half finished" but I think it will grow on me. Air New Zealand have released their latest incarnation of their safety video - this one featuring Betty White and going "old school style"
With Jetstar's first Boeing 787-8 VH-VKA set to touch down on Australian soil tomorrow its a great time to showcase an awesome video from Boeing (via ausbt.com.au) of the aircraft coming together. TigerAir Australia have announced they will introduce SYD-PER directly operating a new 6x weekly back of the clock (red-eye) service with departure from SYD at either 1955 or 2155 and return from PER at either 2250 or 0100. Virgin Australia have announced the introduction of a twice weekly BNE-CNJ (Cloncurry) service operating with Embraer E190 aircraft. This marks the return of direct links between Cloncurry and the state capital. After what most thought was the end of the special Aboriginal art schemes on Qantas jets after the retirement of Boeing 747-300 VH-EBU 'Nalanji Dreaming' and the repaint of Boeing 747-400 VH-OEJ 'Wunala Dreaming' back into standard colours, leaving just Boeing 737-838 VH-VXB 'Yananyi Dreaming', Qantas have announced its return. VH-VXB will be joined by a second Boeing 737-838 in a new Aboriginal Art scheme with the new Boeing set to be painted into the livery at the Boeing factory before being delivered to Qantas. As yet Qantas have not announced the name of the scheme or the Aboriginal artist who designed it. 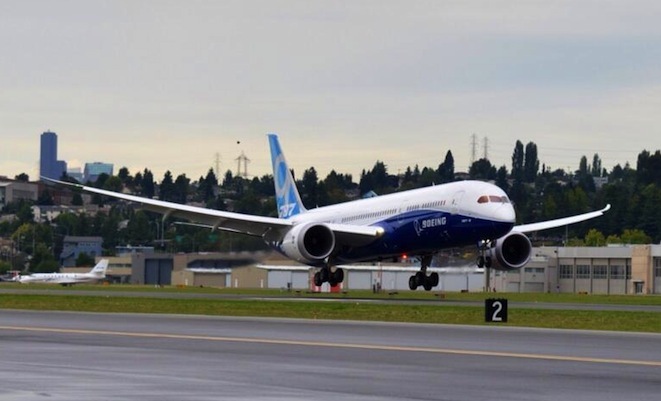 The first Boeing 787-9 has taken to the air as part of the Boeing test/certification program for the model. The frame will become ZK-NZC the third 787-9 to be delivered to Air New Zealand in 2015 after it has finished its Boeing test program. The 789 departed Everett this morning (17-September-2013 local) at 11:02 and performed a five hour flight testing the aircraft's systems and structures. Could SA replace NZ in MRO? While its a bit of a stretch to think its SA code namesake South African Airlines would replace Air New Zealand Link on services into Masterton, there is a chance that Sounds Air may bring services back to the airport. Sounds Air would not look to replace the national airline on its Masterton-Auckland service rather operating a new Masterton to Wellington service to offer passengers an alternative to traffic queues and exorbitant parking charges at Wellington. While criticism continues of the national carrier's decision to can its Masterton-Auckland route, Sounds Air managing director Andrew Crawford told The Dominion Post his airline would meet Masterton Mayor Garry Daniell on Monday to discuss stepping into the breach from November. 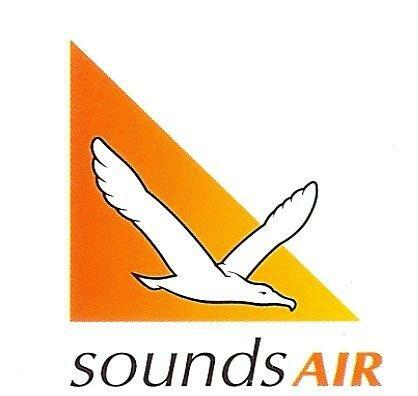 Sounds Air would offer an early morning departure from Masteron in one of its Cessna C208 Caravan's on the short flight to Wellington where passengers can then connect onto an Air New Zealand service to Auckland or Christchurch. Airways New Zealand have launched a world first flow and arrival management system at Auckland. Airlines operating into and out of Auckland are set to save tens of millions of dollars in fuel following the implementation of an integrated flow management and arrival management system. In what is said to be a world-first deployment, airlines are already benefiting from significantly reduced airborne delays and optimised flight profiles. There is evidence that in 2007 the average airborne delay into AKL was 3.5 minutes and since the introduction of this service the average airborne delay is just 23 seconds. This looks to be a well worth it system based on the information contained in the article from Australian Aviation on their website HERE and is something that I think Brisbane Airport and Airservices Australia should be VERY keen on considering the epic airborne delays in Brisbane airspace. Blenheim's airport terminal, at Woodbourne (NZWB/BHE) is set to more than double its footprint in expansion plans unveiled yesterday. It was expected to take six months to complete the work, which would see the passenger area expanded to the south, increasing existing floor space from 92 square metres to 240 square metres. A mezzanine floor was also being considered to further increase passenger space. The current terminal opened in 1995 and passengers numbers have grown to 230 000/yr and are expected to continue to grow, especially with more Air New Zealand flights moving to the Q300 aircraft. Even if Air New Zealand replace 2x 1900D flights with a single Q300 flight that is still an increase in capacity from 38 to 50 seats. Marlborough Airport is served by 3 airlines Air New Zealand operating a mix of B1900D & Q300 aircraft to AKL, CHC & WLG, SoundsAir operating C208 Caravan & C208B Grand Caravan Aircraft to WLG and Air2There operating a C208 Caravan between PPQ, BHE & NSN - Air2There codeshare on the SoundsAir BHE-WLG route. In what appears to be a common trend Air New Zealand is slashing more 1900D services with AKL-MRO and WLG-WAG being cut, and AKL-ROT going to Q300 for morning services. This follows in the footsteps of earlier changes including a morning Q300 service on the WLG-BHE route replacing two 1900D services. The extra Q300 capacity is due to the new ATR 72-600s being introduced to several Q300 routes. The Auckland to Masterton route ends in February 2014, while the Wellington to Wanganui service ends in December this year. Blaming uneconomic operations and lack of demand, Air New Zealand executives told Wairarapa mayors today the service from Masterton Airport would cease from February 5. In scuttlebutt around the internet there is word that Air New Zealand subsidiary Eagle Air is looking to sell 8 of their 1900D fleet but this is yet to be substantiated by any proof. 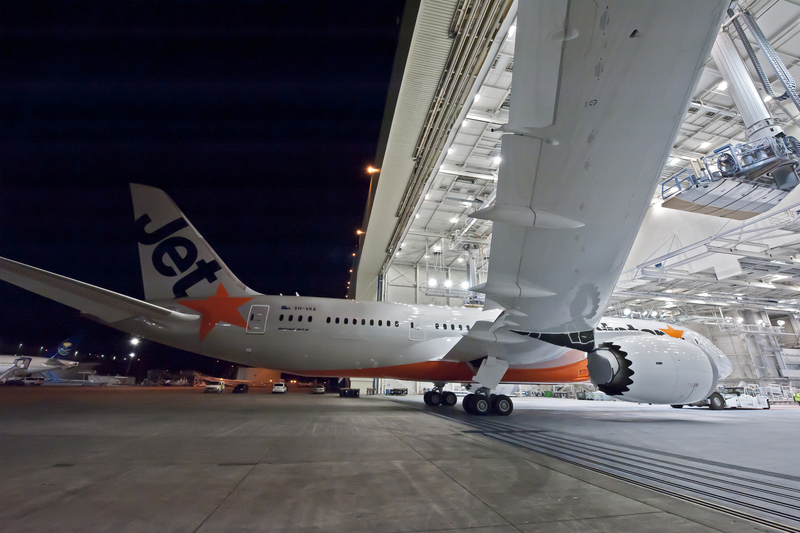 Jetstar have launched a new 3x weekly service between Auckland and Adelaide from December 16th. The service will operate Monday's, Wednesday's & Saturdays utilising the mainstay of the JQ short haul fleet the Airbus A320. Jetstar Group Chief Commercial Officer David Koczkar said the launch delivers the first direct low fares flights between the two destinations.“The customer response to our trans-Tasman flying has been strong over the past few years and we’re delighted to now introduce direct flights from Adelaide to Auckland,” Mr Koczkar said. This introduction will see Air New Zealand lose their monopoly on this route, however Qantas have also previously operated this rtoute. Air India has won the Australasian crown for the first commercial B787-8 flight with B787-8 VT-ANK touching down in Sydney this morning as ACI312 direct from Delhi. The 787-8 departed Delhi 10 minutes late at 15:40 IST yesterday and landed in Sydney at 08:13 AEST almost 30 mins behind schedule. It departed SYD as ACI311 at 10:35 AEST almost an hour behind schedule for MEL where it landed at 11:59 AEST over an hour behind schedule. 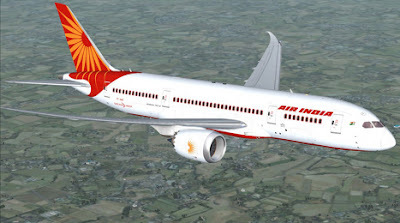 The new services mark the return of Air India to the Australian market after a sustained period of absence with the flight operating a daily service, DEL-SYD-MEL-DEL 4x weekly and DEL-MEL-SYD-DEL on the other 3 days. Rex ended the year with profits down 45 per cent and passenger numbers down 6.8 per cent. Rex have fairly and squarely set the loss at the feet of the government's controversial carbon tax, and blasted the government for its implementation, despite the fact Rex recorded a profit more than twice as large as the Qantas group. Qantas has returned from their record loss last year to eek out a $6m (AUD) net profit this year. The domestic premium operations, Jetstar and the frequent flyer division all made a profit, while the international operations halved its underlying losses to $246 million. 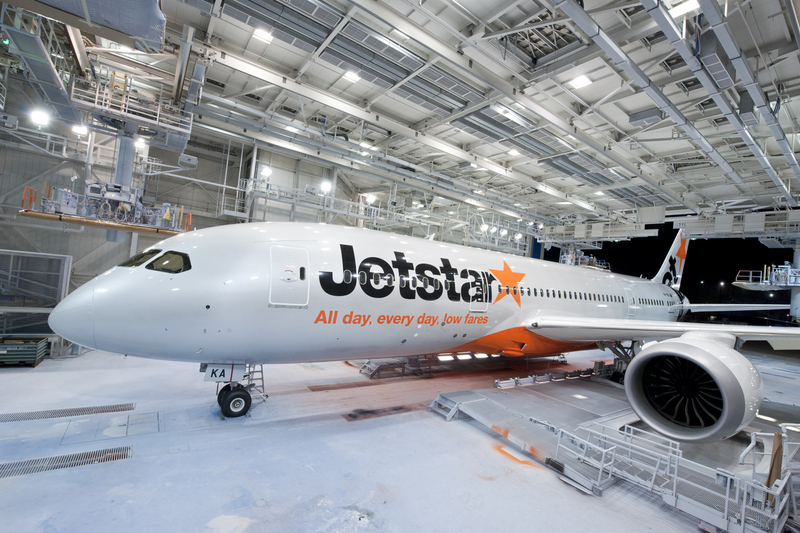 Jetstar have reported a 32% fall in underlying profit thanks mostly to the launch of offshoots Jetstar Japan and Jetstar Hong Kong, the latter of which is still yet to get off the ground. 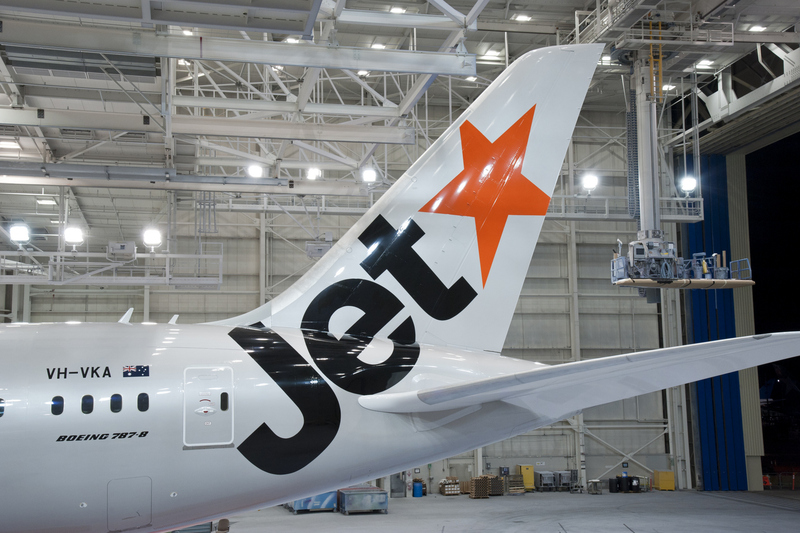 The result for Jetstar included a $29 million hit from the federal carbon tax and $50 million in start-up losses in Japan and Hong Kong. The start-up losses rose by $31 million from a year earlier. 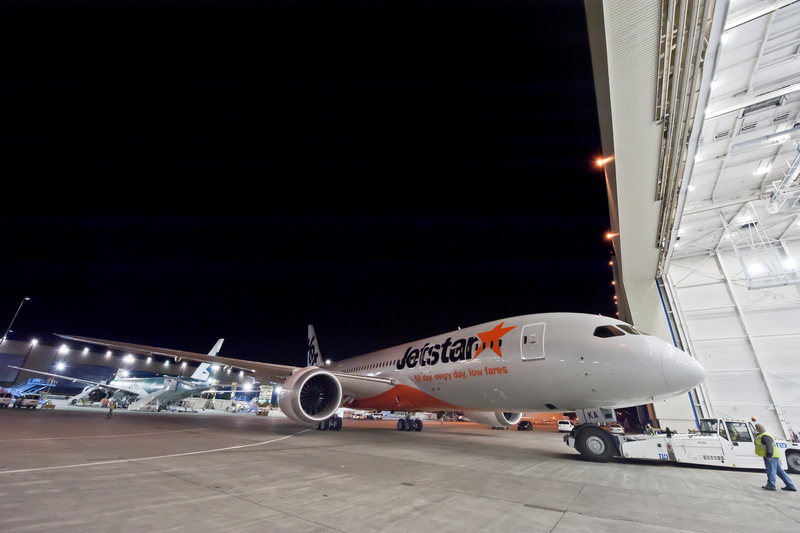 It is believed Jetstar's domestic profitability has halved in the last financial year but the international and Jetstar Asia arms have turned a profit. Jetstar are also looking towards increased competition from Tigerair Australia with the Airline set to double in size by 2018 now that Virgin Australia owns the controlling stake. Qantas have announced some changes in the layouts on their A330 fleet as well as the new B717s. All 30 of Qantas’ A330s will be upgraded with Business Suites in a 1-2-1 layout with fully flat beds and direct aisle access from every seat. Ten A330-300s for Qantas International will feature new Economy seats and 20 A330-200s for Qantas Domestic will see their Economy seats refurbished. The 5 "new" Boeing 717s being delivered to Qantas will operate as a dedicated sub-fleet on the Sydney/Melbourne/Brisbane-Canberra routes and will feature a business class cabin and iPad entertainment in every seat. “These dedicated B717 aircraft will offer excellent levels of comfort, entertainment, food and wine, delivering on our commitment to continually improve our service,” said Mr Joyce. The five new QantasLink B717s, announced in January this year, will be introduced to the domestic fleet during FY14. Qantas Domestic’s 13 other B717s are also being upgraded with new interiors in an all-economy configuration. Other fleet announcements include the major announcement that as the Jetstar A330s return to Qantas Domestic coupled with further Boeing 737-800s the entire Qantas Boeing 767 fleet will be retired by mid 2015. The airline is paying a final dividend of 5 cents a share, taking its total dividend for the year to 8 cents a share - a 45 per cent jump from last year's shareholder payout. The profit lift was largely anticipated by analysts. 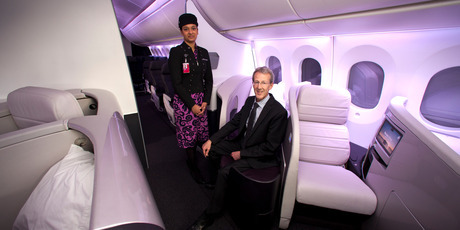 Chairman John Palmer said this morning's result placed Air New Zealand amongst the best performing airlines globally. "We are focused on further improving on this result in the 2014 financial year. Based on the airline's forecast of market demand and fuel prices at current levels, early results and forward bookings are encouraging." he said. The airline has also announced they will spend $1.8b on new aircraft over the next 3 years, made up of 9 additional Airbus A320 aircraft for their Domestic fleet renewal, 2 additional Boeing 777-319ERs and 9 new Boeing 787-9s for their international fleet. 93 years ago yesterday (25th August 1920) the first aircraft to cross Cook Strait (the body of water diving New Zealand's North and South Islands) landed at Trentham racecourse in Wellington. When Wellingtonians looked up and saw a biplane performing aerobatics above the city 93 years ago, little did they realise that aviation history had been made. Captain Euan Dickson, a decorated World War I pilot, had just completed the first air crossing of Cook Strait. Matt Stewart reports. The first plane to cross Cook Strait arrived in Wellington unannounced, but that lack of fanfare didn't stop spectators marvelling at the aerobatics of its pilot. Decorated World War I aviator Captain Euan Dickson piloted his Avro 504k biplane into a "number of falling leaf and stalling turns", according to The Evening Post's account of what at the time was known as "stunting". The flight is immortalised with a monument and plaque at the site of its Blenheim landing point a small field off Dillons Point Road to the north east of the town. The Evening Post recounted Captain Dickson's "curt phraseology" in describing the nearly five-hour trip with a staccato, radio-friendly patter: "Left Christchurch in adverse conditions. Very strong northeaster. Made bad time to Kaikoura, when petrol was running short, so thought it advisable to land, although within two or three miles of arranged landing-ground. "Landed on a rather rough paddock, and managed to get some motor spirit from Mr Bullen, The Elms: cup of tea, too . . ."
After more "motor spirit" stops and helpings of lunch, tea and cakes, the crew, which included Canterbury Aviation Co deputy chairman C H Hewlett and mechanic J E Moore, touched down at Trentham. When asked what the most striking feature of the journey had been, Captain Dickson replied: "I should think it was seeing Wellington from Kaikoura so distinctly." As part of their alliance with Emirates, Qantas have announced changes to their trans-tasman services opening up the international network to New Zealand travellers. The biggest announcement is the introduction of twice weekly Perth-Auckland flights for the December - January period. The new Auckland-Perth service will operate during the holiday season with a twice-weekly A330 service from early December this year through to 1 February 2014. As stated these flights will operate with an international configured Airbus A330 which gives Business travelers the option of lie flat seats which will be useful on the overnight PER-AKL leg. The announcement will also see a lot of the existing QF4* codes replaces by new QF13*/14*/15* codes. Christchurch currently sees QF45/46 operare SYD-CHC-SYD during the day, this will be changed to operate as QF139 SYD-CHC in the evening with a 23:55 arrival and the return will now operate as QF138 CHC-SYD with an 07:30 departure, opening up connecting international flights out of SYD.